Big Brother Gossip: Monday's Power of Veto Meeting Results and the likely evictee. Monday's Power of Veto Meeting Results and the likely evictee. On Monday as we expected Bridgette didn't use the Power of Veto so the nominations stayed the same with Tiffany, Paul and Bronte. Tiffany is actually attempting to campaign to stay although she is also being told she should be safe. She knows Frank has wanted her out and so has been talking to various house guests about wanting to stay and get revenge on both Frank and Bridgette. While the house guests she has talked to, Nicole, Davonne, Michelle and others, see receptive, a part of it is they don't want her stressing out and making their week difficult. I do think that in part Davonne had toyed with the idea of trying to keep Tiffany and may even give her a 'hinky' vote so that if she returns she will be loyal to Davonne. 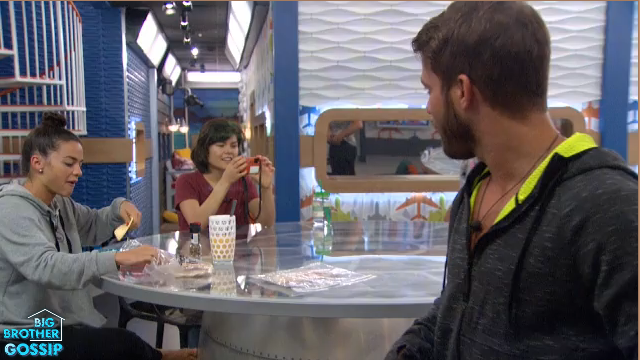 Today in the house Tiffany has continued to talk to people about the advantage of her staying. Bridgette also got her HoH camera, wrote in her blog and recorded some tweets to be sent out later. We know from Nicole that they basically get a computer with a word processor and type everything out and production takes it from there. I'd have to say things are still very much looking like Tiffany is staying - she's just not proven herself as as a good ally and both Bronte and Paul are fully on board with the prospect of going after Frank next week once Tiffany is gone so her argument that she wants to go after him as well holds little value. Tiffany's ties to her sister are seen as a much bigger threat than Paul and Bronte who both have demonstrated their lack of knowledge on how Big Brother actually works. 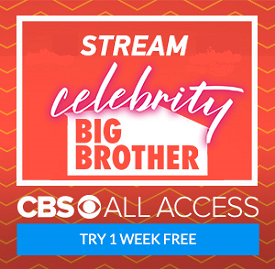 If you haven't heard our weekly Podcast please check it out at bigbrotherpodcast.com and don't forget Scott and Colette do a bonus show to at the $3 to our Patreon Subscribers - go there to check it out. I hope it's Tiffany that goes because I'm sick and tired of the family waterworks. She does have a nice mustache though.